There is a lot of scope for football in Bangalore. 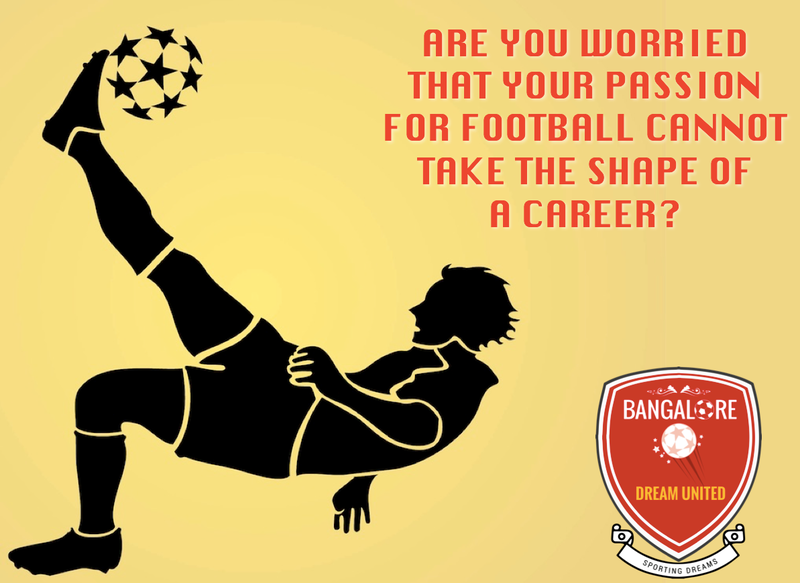 We call for regular football trials in Bangalore at various locations every 6 months. We look at boys aged 16 and 18; those who have finished their 10th grade and looking to join Pre University courses or those who have finished 12th grade or Pre University courses looking to join degree courses. Remember, we recruit student athletes. Get yourself on a trial with Dream United Football Academy. If selected, you will be required to join Jain University on a course of your choice. A systematic program will be followed to get you to perform at your best. You will be required to sign youth contracts / professional contracts with the Rebels FC which currently plays in the BDFA League. 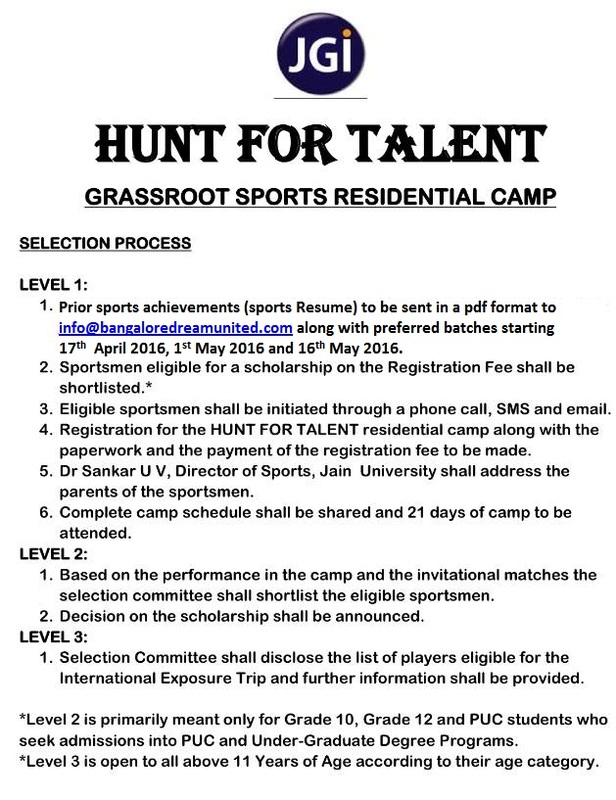 To take up the upcoming trial on 17th April 2016, please fill out this form.